Today at an event in the Sport Ireland Institute the Olympic Federation of Ireland (OFI) signed an agreement with officials from the city of Fukuroi for Team Ireland’s Tokyo 2020 pre games training camp. 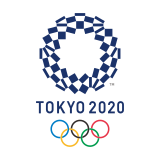 The OFI also announced that it has appointed Finnish company, Elämys Group, as its Authorised Ticket Reseller (ATR) for the Tokyo 2020 Games following a rigorous selection process. Also at this event, the OFI provided further details on the Games leadership team for Tokyo 2020. This team will be responsible for supporting athletes through the pre-games training environment, helping them transition into the Olympic village and providing them with relevant supports during their time at the Olympic Games. 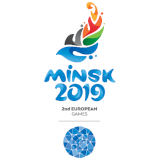 As well as ensuring continuity of care and support, they will deliver a performance led culture supporting the athletes to fulfil their potential on the Olympic stage and to maximise the experience. Speaking today Sarah Keane, President of the Olympic Federation of Ireland said, “Governance structures and creating an environment for the growth of the organisation have been priorities for the Board of the OFI with the ultimate aim of better servicing the needs of our athletes and member federations. Following the appointment of our new CEO in 2018, we have been able to grow the resourcing of the organisation significantly, and today we add two further positions to support the Games leadership team of our Chef de Mission, Tricia Heberle. “Through today’s agreement with Fukuroi City, we have now secured all of the major elements required for our athletes at the pre games training camp. I want to thank Mayor Harada and the City for their excellent cooperation to achieve this in a timely fashion. “We do this in partnership with Sport Ireland and I thank John Treacy and his team at the Sport Ireland Institute for a joined up approach that places the athletes and their performances first. 9 April 2019; The Olympic Federation of Ireland has signed an agreement with officials from the city of Fukuroi for Team Irelands Tokyo 2020 pre games training camp. Present at today’s announcement, Mayor Hideyuki Harada of Fukuroi City added; “We are delighted that Fukuroi has been selected as official pre games training camp for the Irish Olympic Team. In recent months we have worked hard with the Olympic Federation of Ireland to deliver on the detail of their requirements during this important phase of preparation for Team Ireland.